Monica Ali’s debut novel, Brick Lane, won her kudos and condemnation. She earned the kudos for gracefully telling the undertold stories of Bangladeshi immigrants in London. 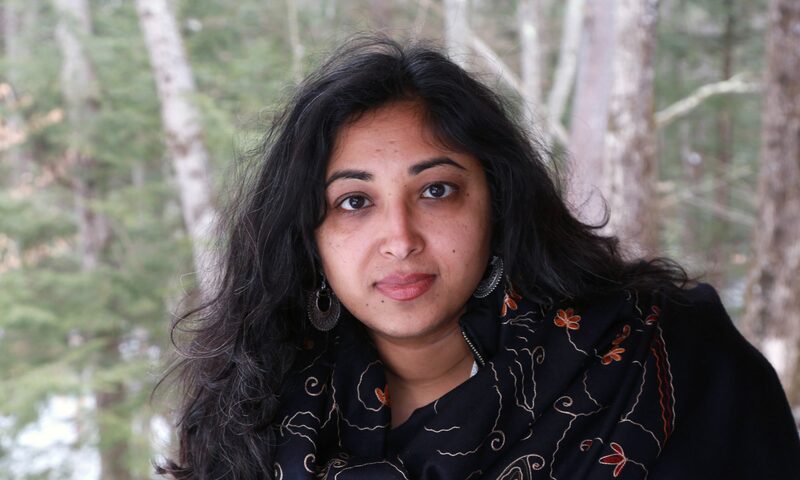 The condemnation came from some of those very immigrants, who denounced her portrayal of their community as “insulting and shameful.”Ali’s second book removes the Dhaka-born, British-raised writer from the spotlight—and the crosshairs—of her ethnic background. Alentejo Blue unfolds in Portuguese corktree country—nowhere near Dhaka, or its outpost on Brick Lane. And, if Ali has any literary debt to pay, it’s not to Salman Rushdie, Anita Desai or any other South Asian writing in English. Ali evokes the village of Mamarrosa the way American novelist Sherwood Anderson did the town of Winesburg, Ohio, in 1919—with spare prose, through interior monologues built on a foundation of silence. In nine spare chapters, Ali tests that declaration. She introduces us to a series of village regulars who must cope with silences loaded with the baggage of relationships, mortality and God. At the end of a long day, Vasco, the cartoonishly fat cafe owner, meditates on a question of great moment: Should he eat the almond pastry, or not? Memories of his life in America—and the death of his wife in childbirth—crop up in the vast pauses around that question. Chrissie, the mother of a family of slovenly English transplants, seems at first to have given up the fight against dirt, chaos and despair. One character describes her as a “dishcloth.” Her daughter, Ruby, is the town tramp. A writer has an affair with both women, but primarily because he is bored and in search of material. Still, the mother dutifully takes the daughter for an abortion, illegal in Portugal, and is kicked out by her alcoholic husband for the deed. In her banishment, there is nothing to do but listen to the rain and reflect, in a stream of consciousness. In Alentejo Blue, the characters matter more in dialogue with themselves than in their interactions with each other. And, despite the dramatic details of affairs and a criminal abortion, characters matter more than the plot. If anything, Mamarrosa is the kind of place that annihilates plot. Nothing much happens, except for the schemes of the young to escape its nothingness, and the bargains made by the old, who no longer desire escape. That nothingness provides the central tension of the book, symbolized by a clock that drives Teresa, a 20-year-old longing to break free of the village, absolutely mad. It’s stuck at 20 past three, the clock hands as immobile to her as all of Mamarrosa, with its Internet café where the computers don’t work. © Ms. Magazine. All rights reserved.